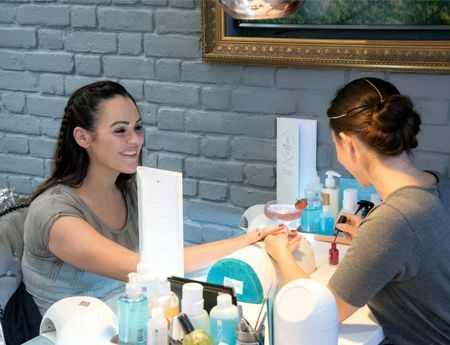 Let us treat you like Royalty in our beautiful Champagne Nail Bar, the perfect spot for a girly catch up with a glass of bubbly, while we pamper your hands and feet. 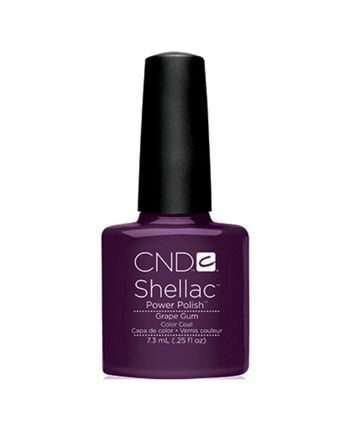 We use only the finest products in our Nail Bar, including CND, Shellac and Bio Gel, and our expert nail technicians will leave your hands feeling pampered and looking incredible. Love to keep up to date with style trends? So do we! Speak to our technicians who’ll help you discover your brand new signature look. MAKE YOUR PARTY OUR PARTY! 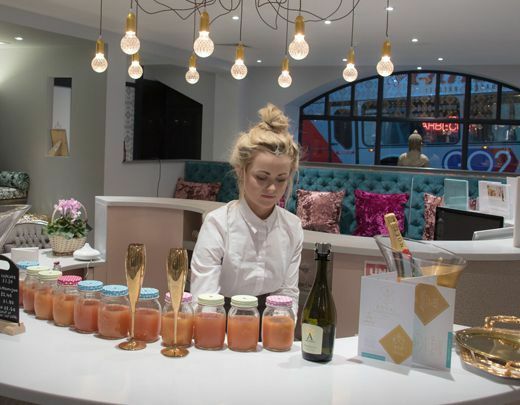 Whatever the occasion, our Champagne Nail Bar is the perfect spot for your bash! We can cater for groups of all sizes, so relax, have fun and spend some quality time together as we keep the drinks coming! Why not take a drink outside and relax after your treatment in our beautiful outdoor space. 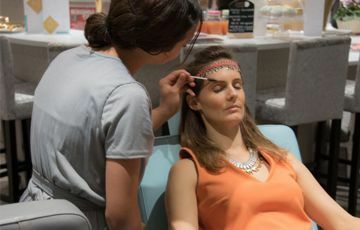 Our fabulous range of treatments is waiting for you, so click below and discover your new look! Specially designed to leave your hands feeling truly pampered! Finished with the perfect polish! Let our talented nail artists design you a striking new look that suits your personality! 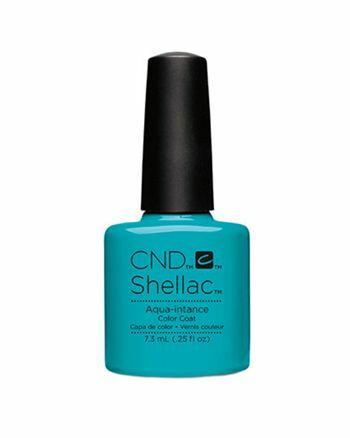 This treatment includes nail and cuticle grooming, hand massage, perfect polish and a bespoke nail design. 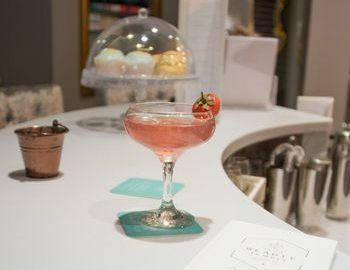 Spoil yourself with a glass of bubbly, try one of our tasty treats with our signature herbal tea or our barista can serve you a delicious coffee while you relax and watch the world go by. 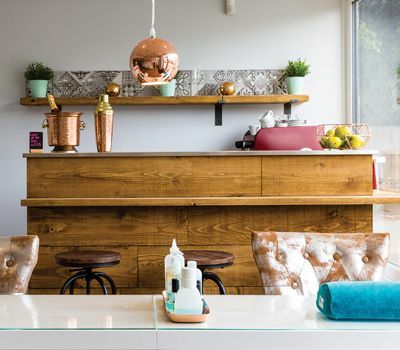 Our Champagne Nail bar is the perfect spot for your Hen Party! 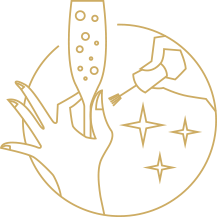 We can get you and the girls ready for an incredible night on the town, treat yourself to a manicure and pedicure, glass of bubbly, then head over to our Make Up bar for a glamorous look! We can cater for larger groups too, so get in touch! 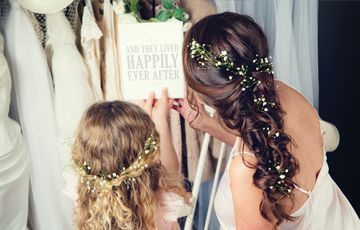 Providing stunning hair and long-lasting make-up looks for the entire bridal party, we can help you create your perfect wedding day look. Finally a beautiful place for all your beauty needs! We’re here to provide you with professional makeup applications in a stylish and fun atmosphere. Discover our latest offers for beautiful treatments and packages at amazing prices! They won't last long, so get yours while you can! Book today!